To love timber home living is to love the idea of infusing natural elements into your home’s interior. But what about outside those gorgeous timber-framed walls? 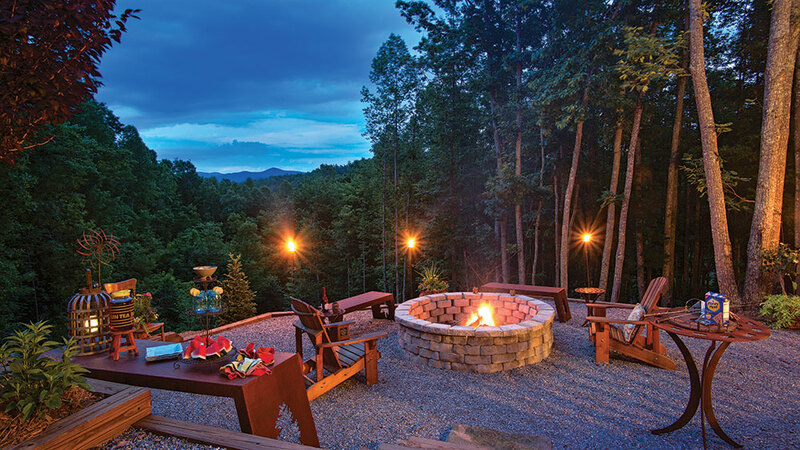 Outdoor enjoyment is as much a part of your dream home as those coveted timbers and trusses. When a small parcel of land is considered a sanctuary, it often feels like a meditative garden or quiet wooded area. Resist the temptation to load it up with activity-focused features like a BBQ grill, outdoor games or children’s playground. Some homeowners like their backyard oasis to have a spiral walkway, which they use as a meditation tool. You also can create a winding path made of materials like flat river rocks. Planting canopy trees will create cover from the sun. Can’t wait for the trees to mature? Simple arbors engulfed in climbing vines will provide sunblock in short order. Place a bench beneath the shade and you’ve got a tranquil outdoor reading nook. Trying to flatten a hillside or eliminate water with tons of soil (literally) could make your space feel artificial. Instead, consider playing with the contours of the land and making the most of what’s already there. For example, if part of the space tends to flood because it’s lower, that seems like the perfect spot for a reflection pool. As much as possible, choose native plants, particularly grasses and wildflowers. No matter your region, native plants are often great for conditions ranging from drought to flooding and will keep your landscape healthy. Flowers will attract pollinators, bringing butterflies and honeybees, as well as smaller critters that are fun to watch, into your sanctuary. Keep in mind that an oasis should be about enjoyment and peace, not a bunch of work on top of other landscaping chores. Make it a place that you look forward to visiting, and it will be a true outdoor oasis.